If you’re like me, you love to buy toys for your kids that will last for a long time! 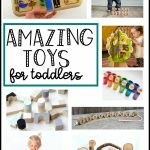 Today, I’m going to share the best toys for toddlers! We have 3 boys and these are the toys the boys have played with the most. 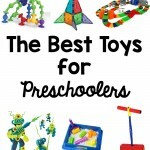 I’ll also be sharing a few non-toys that make great gifts for toddlers. 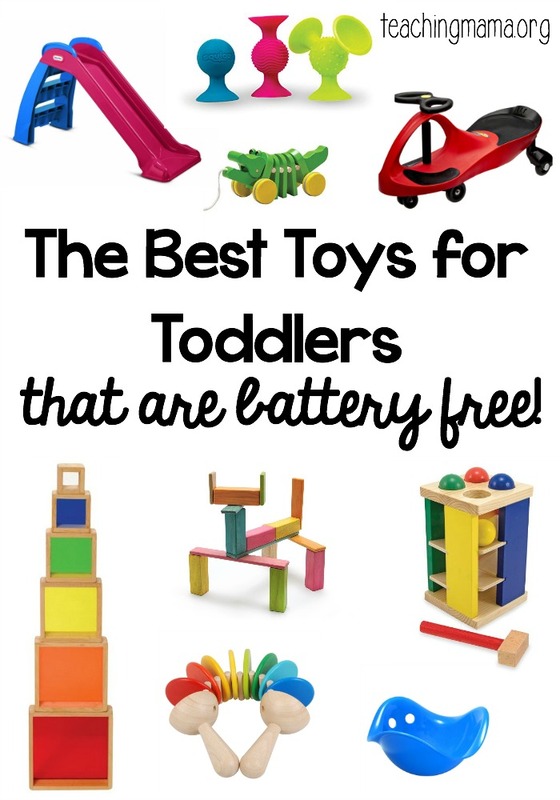 Here are our favorite toys for toddler, in no particular order! 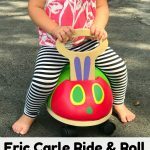 pipSquigz – These toys are amazing! 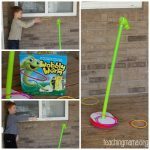 Use pipSquigz to build, bounce, and stick to almost any surface! They are also lots of fun to pop a part! The pipSquigz are a perfect size for little hands. 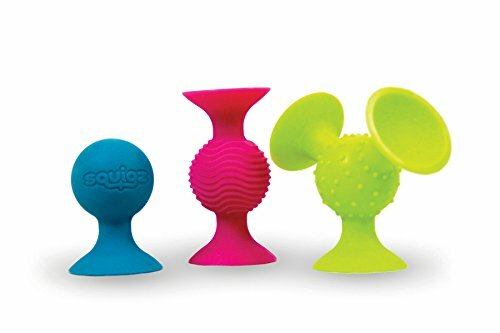 They also make squigz for kiddos 3 and older, which are smaller than these. SpinAgain – This toy will really keep your toddler busy! Have fun watching the colorful discs spin down the pole. It’s also a great toy for practicing hand-eye coordination! Tegu Magnetic Blocks – Tegu blocks are one of a kind. They are magnetic blocks, which make building more fun! 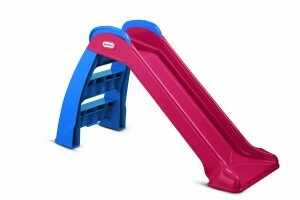 They feel amazing and kids of all ages will love playing with these. They are a bit pricey, but they are unique and will last a long time! Also, make sure to watch for them to go on sale. I got ours a week ago when they were 40% off. I love that when you buy their blocks, they plant 2 trees in Honduras! 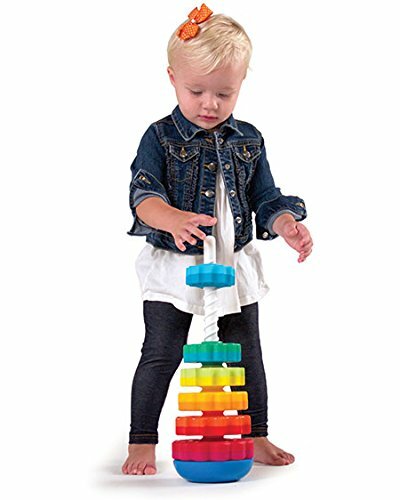 Melissa & Doug Pound and Roll Tower – This toy is addicting for toddlers! They love to hammer the balls and watch them travel down the tower. We are big Melissa & Doug fans! 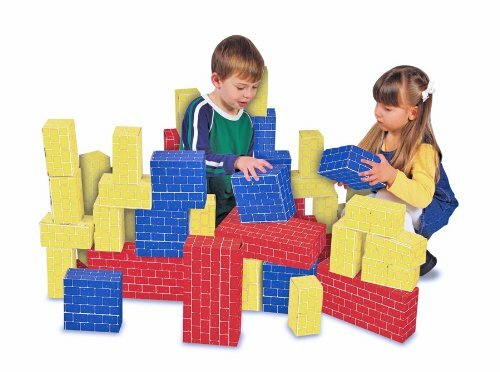 Melissa & Doug Deluxe Jumbo Cardboard Blocks – These giant blocks have been around for a loooong time. I remember playing with them as a kid! They are so much fun to build with and knock down! 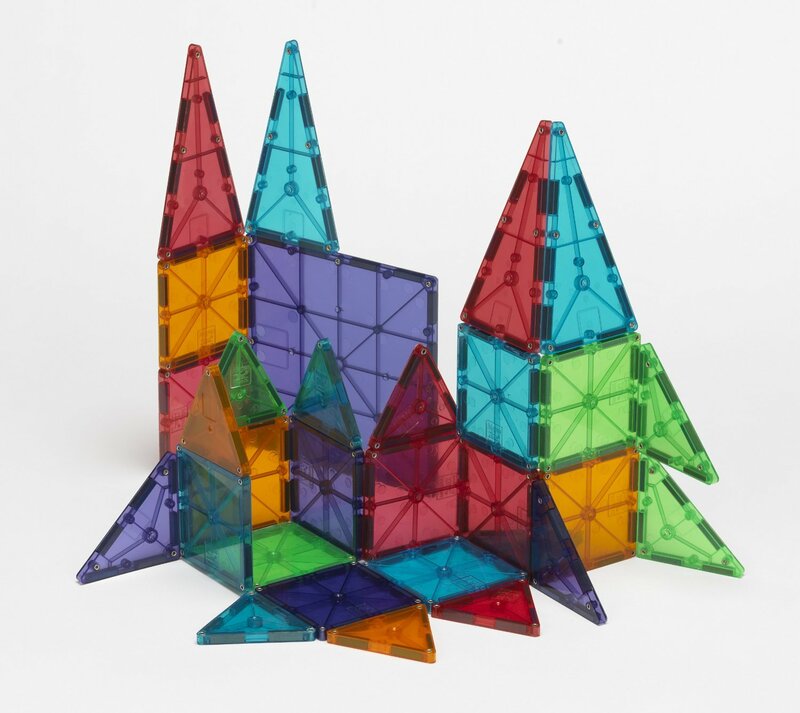 Magna-Tiles – These magnetic shapes are a blast to build with! The colors are pretty (and look awesome on a light table) and the magnets inside make it easy to build with. We are big fans of Magna-Tiles! 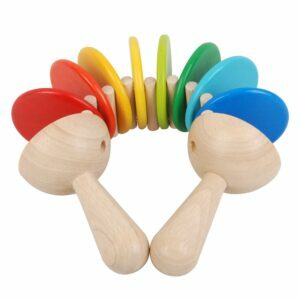 PlanToys Clatter Music – Does your toddler enjoy making noise? 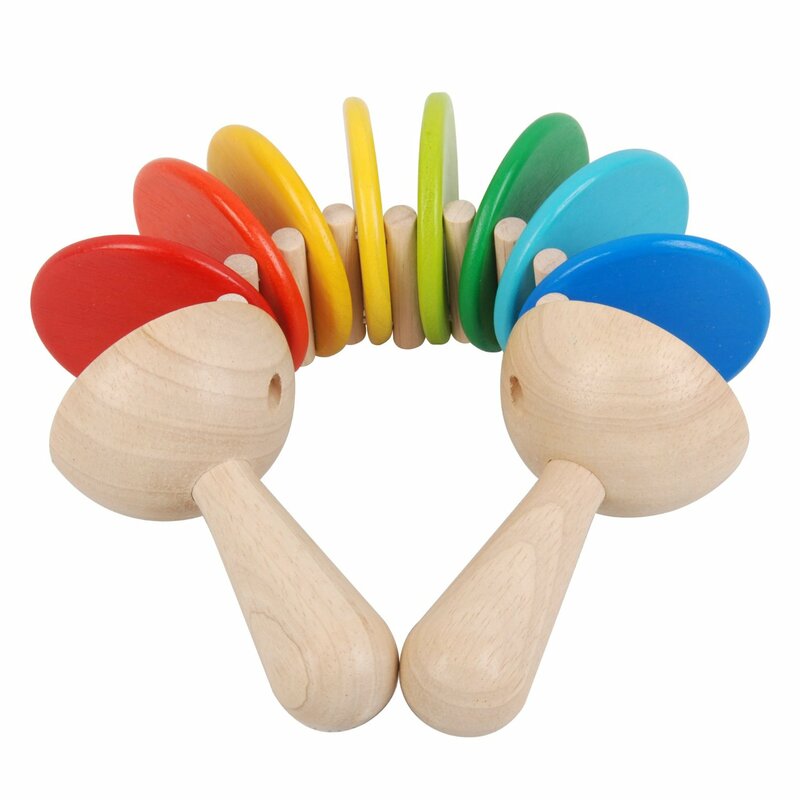 You’ll have to try out this clatter music toy! It makes a click-clack sound that goes from a ripple to a loud clattering sound! 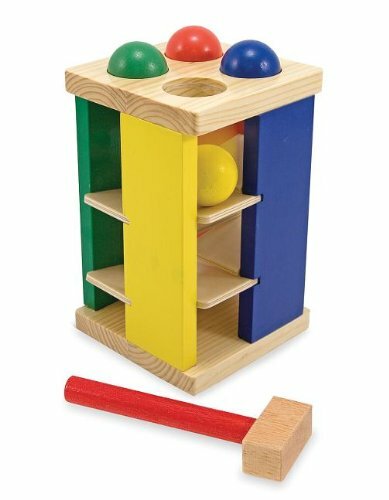 Love the colors on this wooden toy. 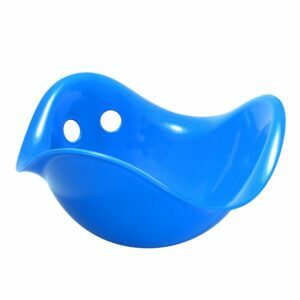 Moluk Bilibo – This looks like an odd toy, but it really is fun! 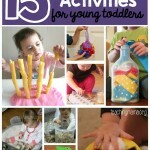 There are endless ways to play with it…rock in it, spin in it, put water in it, and so many more ideas! 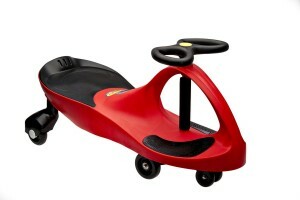 Plasma Car -Here’s the plasma car, which moves without pedals! Simply move the steering wheel back and forth to get the car moving. 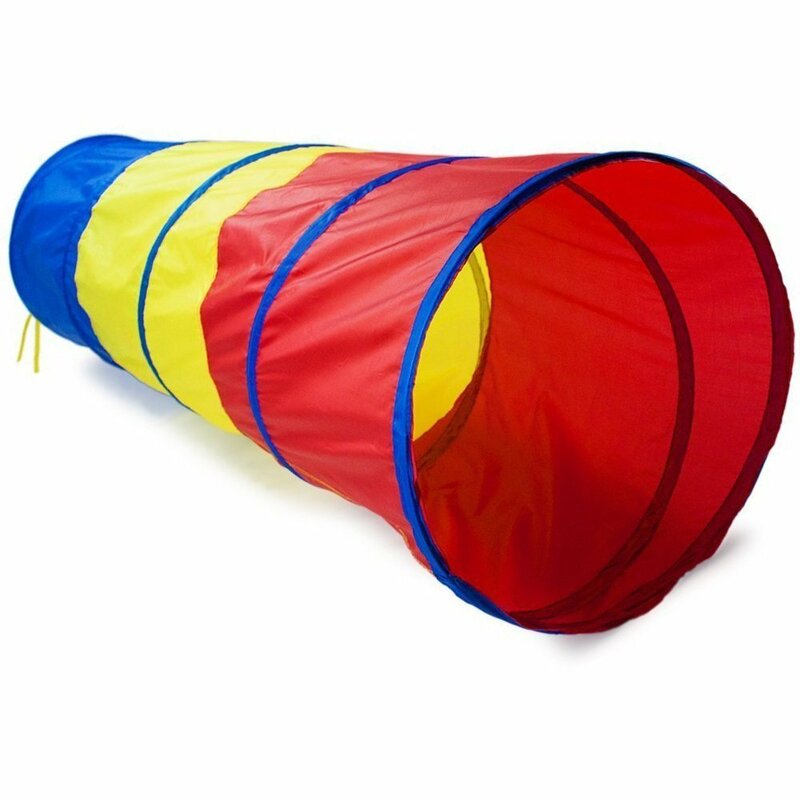 It’s a great way for older toddlers to get exercise and have fun! 6-feet Play Tunnel – Toddlers love to crawl through things, so why not get them a fun play tunnel? Little Tikes First Slide – Slides are awesome for working on gross motor skills! It’s also a great way to burn energy inside when you can’t play outside!! 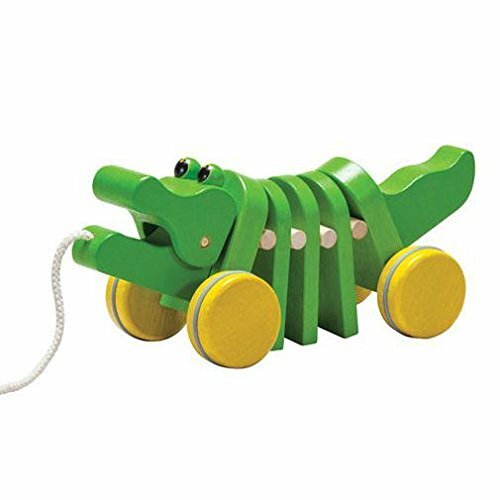 Plan Toys Dancing Alligator – This cute lil alligator is so much fun for a toddler to pull around the house. Listen to it click and clack as it moves! 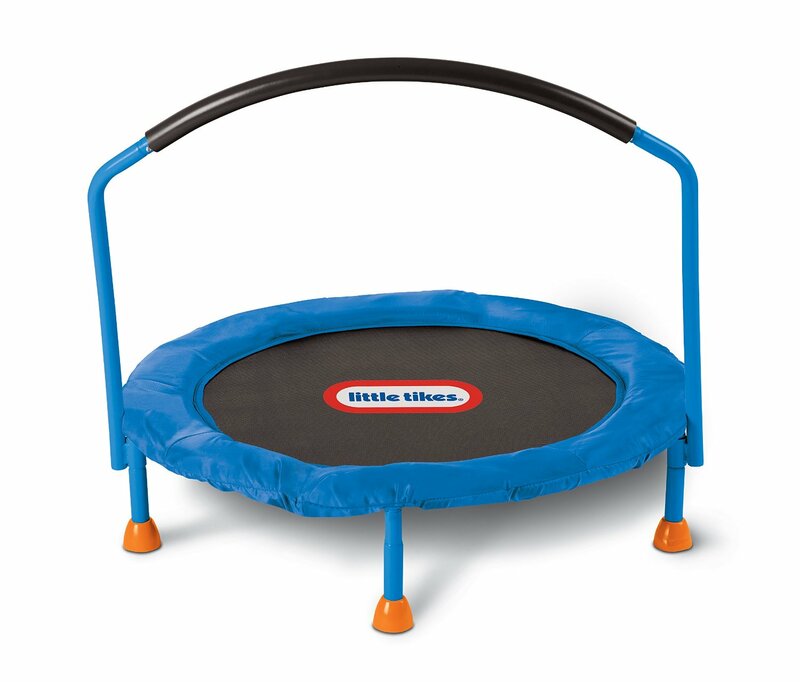 Little Tikes 3′ Trampoline – Another awesome way for a toddler to burn energy is with a small trampoline. This one is low to the ground and has a handle bar, which is great for older toddlers! 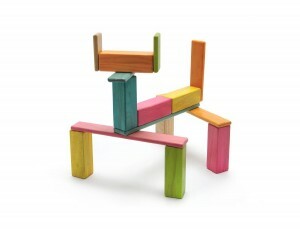 Guidecraft Stacking Rainbow Pyramid – Oh these rainbow blocks are gorgeous! Play with them next to the window and watch the sun cast rainbow shadows on the ground. 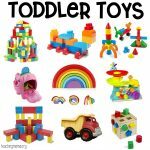 They are also a lot of fun for toddlers to stack! 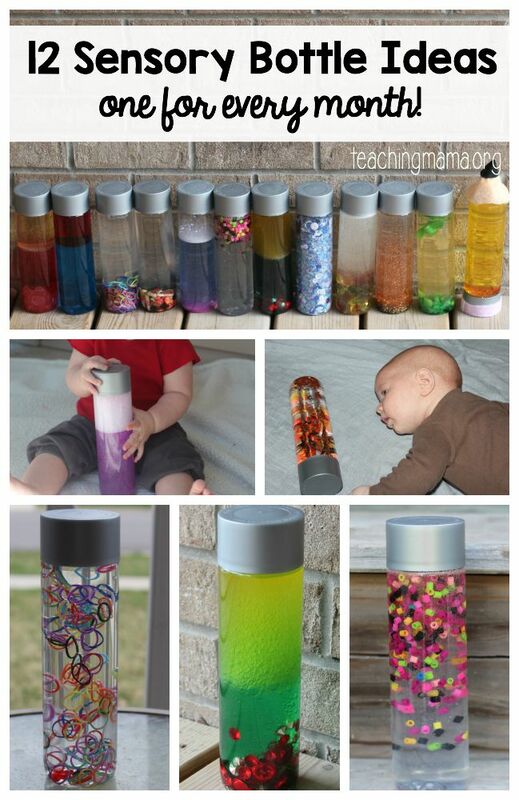 Lastly, if you don’t want to spend a lot on a gift for a toddler, then make them a sensory bottle! I’m not kidding, my boys love to play with sensory bottles over toys sometimes! We’ve made lots of sensory bottles at our home, and you can browse them all here. These toys seem like they would be great for my kids to play with. I remember that I used to love playing with cardboard blocks. They were fun because I should use them to build a fort or a tower that’s any size that I want it to be. My kids have great imaginations, so this seems like a great toy for them that will let their imaginations run wild with all of the things they would build. Thanks for posting this! Those Magnetic Toys are awesome Angela. Thank you very much. perfect gift ideas.